Rose Quartz: Mineral information, data and localities. Two varieties of quartz are commonly called "rose quartz". 1. One is found in translucent masses made of intergrown anhedral crystals. It occurs in different hues of pink, sometimes bluish, sometimes more reddish; irradiation may cause the formation of smoky quartz color centers and add a gray tone. Rose quartz is always showing a hazy to translucent character due to microscopic fibrous inclusions of a pink borosilicate mineral related to dumortierite (Applin and Hicks, 1987; Goreva et al, 2001; Ma et al, 2002), which group leader Rossman names "dididumortierite" (Nadin, 2007). 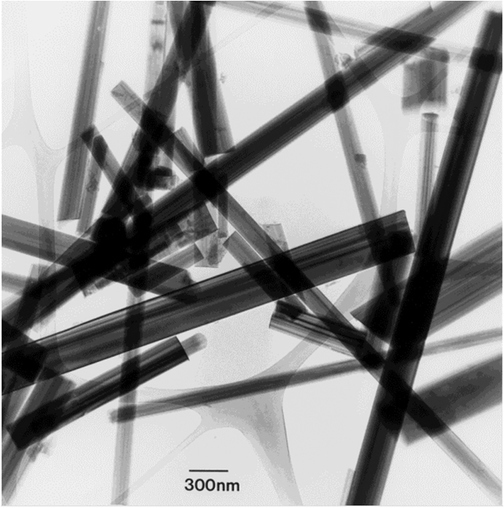 These inclusions are probably the result of an exsolution from an initially homogeneous material. The color of the fibrous mineral as well as the color of rose quartz is stable up to temperatures of about 575°C (Lehmann and Bambauer, 1978; Goreva et al, 2001) and is also generally stable in ultraviolet light (Goreva et al, 2001), although there have been occasional reports of material that pales quickly in daylight. Rose quartz is dichroic, reflecting a preferential orientation of the included fibers. 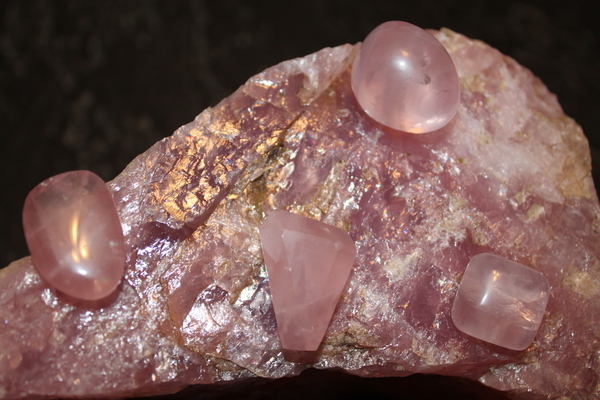 Rose quartz from some localities shows asterism when cut as spheres or cabochons, much like that seen in certain sapphires. 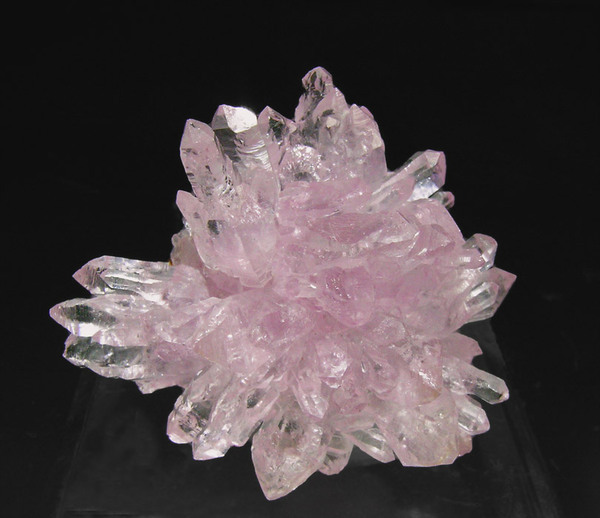 It is sometimes called star rose quartz. The six-rayed star is caused by reflections of the light from embedded fibers that intersect at an angle of 60°. The star's position depends both on the location of the light source and the position of the observer (Schmetzer and Krzemnicki, 2006; Killingback, 2008). Rose quartz is commonly found in the quartz cores of pegmatites and is believed to form at high temperatures, but it has also been found in hydrothermal veins. 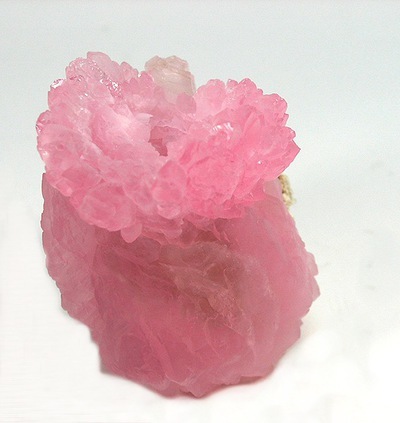 This variety is the rose quartz that is used in lapidary and carvings. Crystals of this type of rose quartz have never been found. 2. The other variety occurs in well-formed crystals of similar color. Because of the substantial differences in the physical properties and causes of color it has been suggested to give the variety of pink-colored quartz that forms crystals the name "pink quartz"(Hori, 2001) or "Rosaquarz" (German for pink quartz, Rykart, 1995). They are found as a late formation in pegmatite pockets, often overgrowing smoky quartz crystals in groups of parallel-grown crystals. According to Maschmeyer and Lehmann (1983), the color is caused by irradiation-induced color centers based on aluminum, Al, and phosphorous, P, that replace Si in the atom lattice. A synthetic counterpart has been synthesized, and irradiation-induced P-bearing color centers have found to be responsible for its color, too, but aluminum was absent (Balitsky et al 1998). The crystals are also slightly dichroic; the strongest color is observed when the polarization plane is perpendicular to the c-axis. 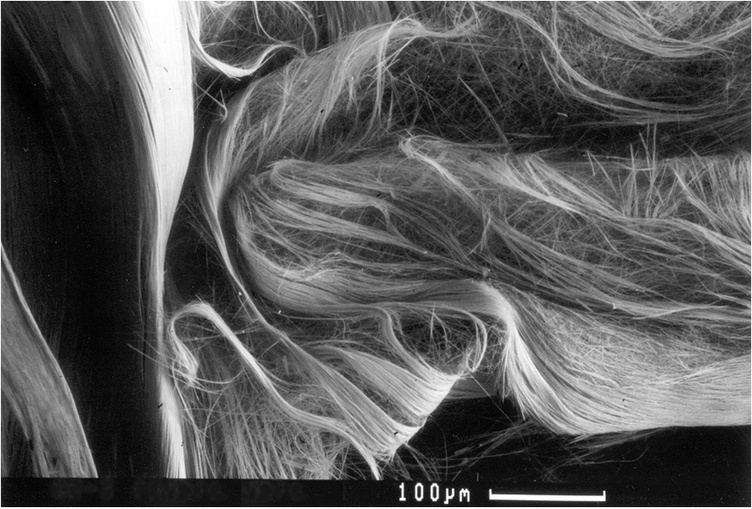 The color in both natural and synthetic specimens is very light- and heat sensitive (Balitsky et al 1998). 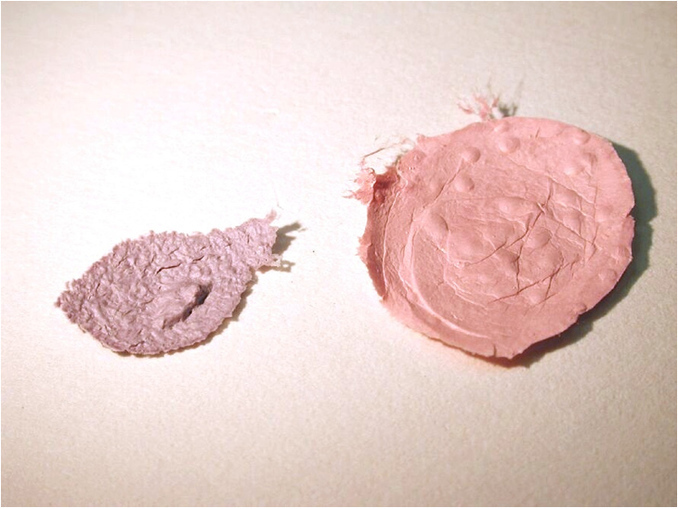 An example for its UV-sensitivity is shown on the photo to the left: a natural specimen was completely bleached within 10 hours of UV irradiation. This is much faster than the bleaching observed in smoky quartz or amethyst, and specimen should be kept in the dark to preserve their color. The term "rose quartz" has also occasionally been used for quartz that is colored by other inclusions. Pale amethyst may be confused with euhedral rose quartz/pink quartz. Amethyst and euhedral rose quartz/pink quartz are both occasionally found overgrowing smoky quartz and may show similar sheet-like surface patterns. The non-destructive distinction between amethyst and euhedral rose quartz/pink quartz is difficult unless the crystals are free-standing. 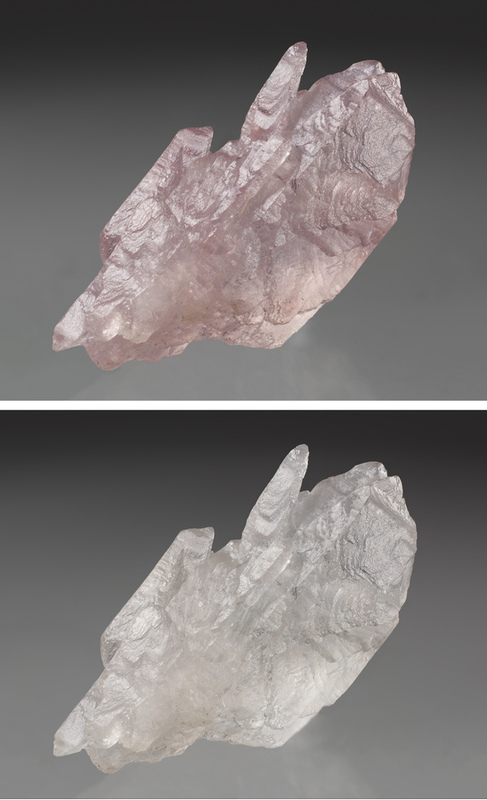 Then the different dichroic behaviour can be used to determine the variety: when the polarization of the light is changed from parallel to the c-axis to perpendicular to the c-axis, amethyst changes its color from bluish to reddish, whereas euhedral rose quartz/pink quartz changes from a more pale to a more intense pink color. Visit gemdat.org for gemological information about Rose Quartz. Quartz 74 photos of Rose Quartz associated with Quartz on mindat.org. Eosphorite 69 photos of Rose Quartz associated with Eosphorite on mindat.org. Zanazziite 33 photos of Rose Quartz associated with Zanazziite on mindat.org. Albite 33 photos of Rose Quartz associated with Albite on mindat.org. Smoky Quartz 23 photos of Rose Quartz associated with Smoky Quartz on mindat.org. Muscovite 19 photos of Rose Quartz associated with Muscovite on mindat.org. Fluorite 15 photos of Rose Quartz associated with Fluorite on mindat.org. Cleavelandite 14 photos of Rose Quartz associated with Cleavelandite on mindat.org. Schorl 13 photos of Rose Quartz associated with Schorl on mindat.org. 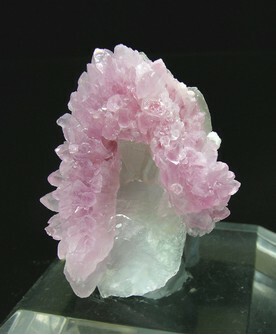 Calcite 13 photos of Rose Quartz associated with Calcite on mindat.org. Pink quartz (euhedral) pales at about 200°C (Balitsky et al 1998). Rose quartz (massive): may show asterism. 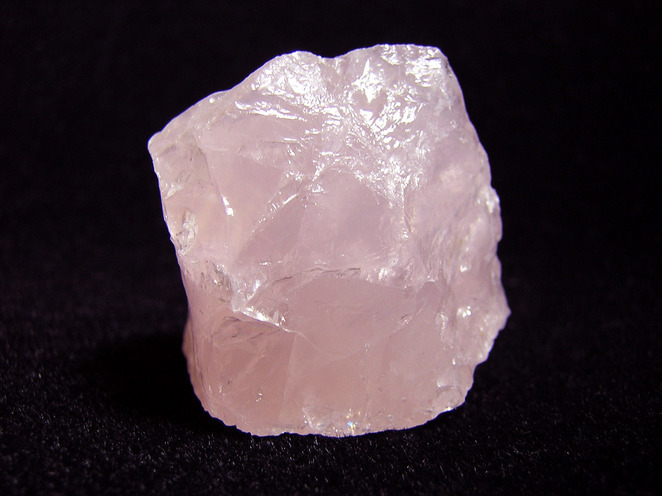 Pink quartz (euhedral): Keep in the dark to prevent bleaching. 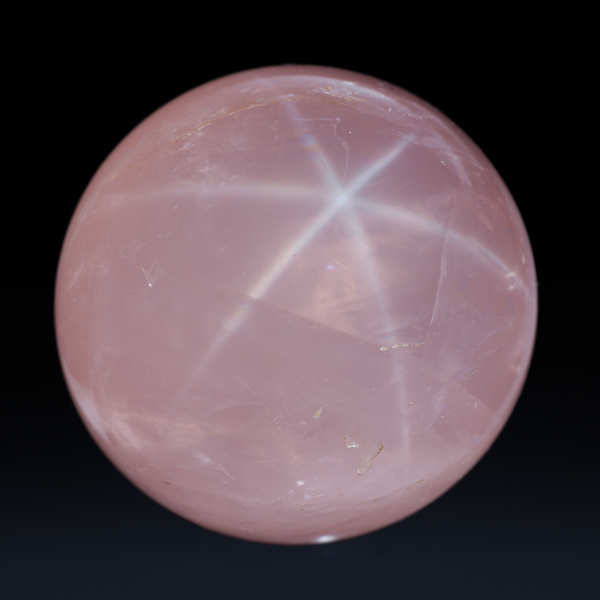 Rose quartz (massive): insensitive to light and UV, no special requirements. 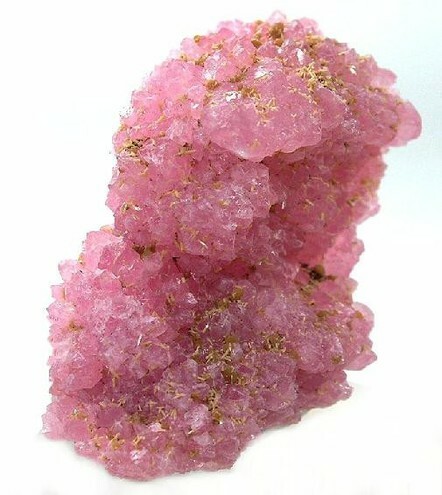 The following Rose Quartz specimens are currently listed for sale on minfind.com. Hayward, M. (1989) Exploration Licence No. 5546. Exploration Report for period 10-02-88 - 10-02-89, Shandona Pty. Ltd.
- Josef Schadler (Handschriftliche Aufzeichnungen). - Otmar Wallenta, in: Mineralogische Notizen aus Oberösterreich (II),OÖ Geonachrichten, MFOÖ Mineralien und Fossiliensammler Oberösterreichs mit ARGE Mineralogie, Geologie und Paläontologie im Oberösterreichischen Landesmuseum, 3 (1988). Cassedanne, J. P., & Cassedanne, J. O. (1987). La moraesite de la mine de tourmaline de Humaita, Minas Gerais, Brésil. The Canadian Mineralogist, 25(3), 419-424. Chaves, M.L.S., Dias, C.H., and Atencio, D. (2016) Recent Mineral Discoveries in the Coronel Murta, Taquaral and Medina pegmatite fields, northeastern Minas Gerais, Brazil. International Engineering Journal Ouro Preto, 69(3), 301-307. [MinRec 21:413]; Neil Hubbard specimen; Moore, P. B., & Ito, J. (1978). I, Whiteite, a new species, and a proposed nomenclature for the jahnsite-whiteite complex series; II, New data on xanthoxenite; III, Salmonsite discredited. Mineralogical Magazine, 42(323), 309-323. Phillips, K. A. (1978) Minerals of Manitoba: Vol 1 Nonmetallic and pegmatic. Manitoba Mineral Resources Division Educational Series 78/1. ; Manitoba MINERAL INVENTORY FILE NO. 207; Bannatyne, B. B. (1985). Industrial minerals in rare-element pegmatites of Manitoba (Vol. 84, No. 1). Manitoba Energy and Mines, Geological Services. Martin W. (1983) Industrial Minerals of the Algonquin Region, Ontario Geological Survey, Open File Report 5425, p.80. Rocks and Minerals For The Collector: Ottawa to Northbay, Ontario; Hull to Waltham; Sangster, P.J., McGuinty, W.J., Papertzian, V.C., Steele, K.G., Lee, C.R., Barua, M., Laidlaw, D.A. and Carter, T.R. 2003. Report of Activities 2002, Resident Geologist Program, Southern Ontario Regional Resident Geologist Southeastern and Southwestern Districts, Mines and Minerals Information Centre, and Petroleum Resources Centre; Ontario Geological Survey, Open File Report 6115, 118p. ⓘ Beaver Mine (McQuaig) ? ⓘ Federal Mine (Copeland's vein) ? Richard M. Pearl: "Minerals of India", Mineral Digest, vol. 2.; Richard M. Pearl: "Minerals of India", Mineral Digest, vol. 2. Stockinger, F. (1989): Mineraliensuche in den Dialer Bohlen. Lapis, 14(9), 13-16. Della Costa, L. (2014): Zeoliti e altri minerali della Valle del Timonchiello, Tretto, Schio, Vicenza. Rivista Mineralogica Italiana, 38, 4 (4-2014), 248-259. Pezzotta, F. (2001): Madagascar, a Mineral and gemstone Paradise. Extra Lapis English 1. p 50. Fransolet, A.-M., Keller, P. &; Fontan, F. (1986): The phosphate mineral associations of the Tsaobismund pegmatite, Namibia. Contrib. Mineral. Petrogr., 92, 502-517. Norges geologiske undersøkelse (NGU): Industrimineraldatabasen. Ågskardet- Forekomst nr.325 i Meløy (1837) kommune. ⓘ Monte Raso 2 "Covelinhas-Vale de Figueiras"
Miller, D. (2010): Die Fluorite von Riemvasmaak, Südafrika - ein Besuch vor Ort. Lapis 35 (4), 38-44; 54. Augsten, R. (2008): Pegmatite in Lappland: Rubellit aus Suorravaara. Lapis, 33 (3), 29-32. Collins, J. H. (1876). A Handbook to the Mineralogy of Cornwall and Devon. W. Collins, Sons, & Company. Heddle, M.F. (1879) The Geognosy and Mineralogy of Scotland: Orkney and Shetland. Mainland, part II. Hillswick Ness. Mineralogical Magazine, vol. 3, p. 18-56. Galbraith, F.W. & Brennan (1959), Minerals of AZ: 84. Murdoch, Joseph & Robert W. Webb (1966), Minerals of California, Centennial Volume (1866-1966): California Division Mines & Geology Bulletin 189: 313. Symons, Henry Heilbronner (1940), Quartz gem stones of California: Rocks & Minerals: 15: 41; Murdoch, Joseph & Robert W. Webb (1966), Minerals of California, Centennial Volume (1866-1966): California Division Mines & Geology Bulletin 189: 313; Pemberton, H. Earl (1983), Minerals of California; Van Nostrand Reinholt Press: 344. Symons, Henry Heilbronner (1940), Quartz gem stones of California: Rocks & Minerals: 15: 39-44; Pemberton, H. Earl (1983), Minerals of California; Van Nostrand Reinholt Press: 344. Sterrett, Douglas Bovard (1916), Gems and precious stones: Mineral Resources U.S., 1914, part 2: 324; Murdoch, Joseph & Robert W. Webb (1966), Minerals of California, Centennial Volume (1866-1966): California Division Mines & Geology Bulletin 189: 313. USGS (2005), Mineral Resources Data System (MRDS): U.S. Geological Survey, Reston, Virginia, loc. file ID #10035965. Paul, Jan S. (1960), Mt. Breckinridge rose quartz: Gems & Minerals, No. 268: 26-27; Murdoch, Joseph & Robert W. Webb (1966), Minerals of California, Centennial Volume (1866-1966): California Division Mines & Geology Bulletin 189: 314. Sterrett, Douglas Bovard (1909), Precious stones: Mineral Resources U.S., 1908, part 2: 837; Murdoch, Joseph & Robert W. Webb (1966), Minerals of California, Centennial Volume (1866-1966): California Division Mines & Geology Bulletin 189: 314. Butler, 1995. Rockhounding California, p.142. Murdoch, Joseph & Robert W. Webb (1966), Minerals of California, Centennial Volume (1866-1966): California Division Mines & Geology Bulletin 189: 315. Fisher, Daniel Jerome (1944), Some southern California pegmatites: unpublished manuscript, USGS: 54; Pemberton, H. Earl (1983), Minerals of California; Van Nostrand Reinholt Press: 318. Saul, R.B., Evans, J.R., and Gray, C.H. (1970) Mines and mineral resources of Riverside County. California Division of Mines and Geology County Report 9. Unpublished manuscript; Pemberton, H. Earl (1983), Minerals of California; Van Nostrand Reinholt Press: 348. San Diego Mining Company (1998), Sly Rick lode field analysis and valuable mineral discovery, Jan.
Kunz, George Frederick (1905a), Gems, jewelers’ materials, and ornamental stones of California: California Division Mines Bulletin 37, 171 pp. : 68; Murdoch, Joseph & Robert W. Webb (1966), Minerals of California, Centennial Volume (1866-1966): California Division Mines & Geology Bulletin 189: 315. Ver Planck, Wm. E., Jr. (1962), Vitreous silica: California Division Mines and Geology Mineral Information Service: 15: 1-5, 10; Murdoch, Joseph & Robert W. Webb (1966), Minerals of California, Centennial Volume (1866-1966): California Division Mines & Geology Bulletin 189: 315. Jahns, R. A., and Wright, L. A. 1951. Gem and Lithium-Bearing Pegmatites of the Pala District, San Diego County, California. California Division of Mines and Geology Special Report 7A, p. 15. Murdoch, Joseph & Robert W. Webb (1966), Minerals of California, Centennial Volume (1866-1966): California Division Mines & Geology Bulletin 189: 316. Tucker, W. Burling (1919), Tulare County: California Mining Bureau. Report 15: 910; Murdoch, Joseph & Robert W. Webb (1966), Minerals of California, Centennial Volume (1866-1966): California Division Mines & Geology Bulletin 189: 316. Symons, Henry Heilbronner (1940), Quartz gem stones of California: Rocks & Minerals: 15: 39-44; Murdoch, Joseph & Robert W. Webb (1966), Minerals of California, Centennial Volume (1866-1966): California Division Mines & Geology Bulletin 189: 316. Murdoch, Joseph & Robert W. Webb (1966), Minerals of California, Centennial Volume (1866-1966): California Division Mines & Geology Bulletin 189: 60, 316. Stoddard, B.H. (1922), Gems and precious stones Mineral Resources U.S., 1919, part 2: 178; Murdoch, Joseph & Robert W. Webb (1966), Minerals of California, Centennial Volume (1866-1966): California Division Mines & Geology Bulletin 189: 316.; Murdoch, Joseph & Robert W. Webb (1966), Minerals of California, Centennial Volume (1866-1966): California Division Mines & Geology Bulletin 189: 372; Pemberton, H. Earl (1983), Minerals of California; Van Nostrand Reinholt Press: 504. Kunz, George Frederick (1905a), Gems, jewelers’ materials, and ornamental stones of California: California Division Mines Bulletin 37, 171 pp. : 68; Murdoch, Joseph & Robert W. Webb (1966), Minerals of California, Centennial Volume (1866-1966): California Division Mines & Geology Bulletin 189: 316. Weber, Marcelle H. and Earle C. Sullivan. (1995): Connecticut Mineral Locality Index. Rocks & Minerals (Connecticut Issue): 70(6): 396-409.
ⓘ Great Hill Pond Brook pegmatite ? Joe Webb Peoples Museum, Exley Science Center, Wesleyan University, Middletown, Connecticut. LMSCC Newsletter, Sept. 2005 Foye, W. G. (1922): MINERAL LOCALITIES IN THE VICINITY OF MIDDLETOWN, CONNECTICUT. American Mineralogist, Volume 7, pages 4-12. Foye (1922); Zodac (9141) Rocks & Min. : 16: 164-167. Schooner, Richard. (1958): The Mineralogy of the Portland-East Hampton-Middletown-Haddam Area in Connecticut (With a few notes on Glastonbury and Marlborough). Published by Richard Schooner; Ralph Lieser of Pappy’s Beryl Shop, East Hampton; and Howard Pate of Fluorescent House, Branford, Connecticut. Zodac (1941)Rocks & Min. : 16:164-165. Personally collected by Daniel Levesque in July 2005. Barry Heath and Frank Perham; King, V. (ed. ), 2009, Maine feldspar, Families, and Feuds. King, V. and Foord, E., 1994, Mineralogy of Maine, King, V. Maine Feldspar, Families, and Feuds. ; Cameron, Eugene N.; and others (1954) Pegmatite investigations, 1942-45, in New England. USGS Professional Paper 255. King, V. (ed. ), 2009, Maine feldspar, Families, and Feuds. King, V. (ed. ), 2009, Maine feldspar, Families, and Feuds; Bastin, Edson Sunderland (1911) Geology of the pegmatites and associated rocks of Maine, including feldspar, quartz, mica, and gem deposits. USGS Bulletin 445. Stan Perham personal communication, 1963.
ⓘ Peabody Mountain Quarry ? Thompson, W.B., et.al., 1991, Maine Mineral Localities, 2nd edition, Maine Geological Survey, Augusta. ; Cameron, Eugene N.; and others (1954) Pegmatite investigations, 1942-45, in New England. USGS Professional Paper 255. Dana, James D. and Brush, George J. (1868). A System of Mineralogy, 5th edition. Kunz,1892. Gems & Precious Stones of N. America, p.121. Nicolay & Stone (1967) Rocks & Minerals: A Guide For Collectors of the Eastern United States; Rocks & Min. : 6:21. Meyers & Stewart, 1956. Geology of New Hampshire, part III. ⓘ Ragged Mountain locality ? Jensen (1978) Minerals of New York State, pp.42-43 (Bridenbaugh, 1873) (Januzzi, 1966, 1989) (Manchester, 1931) (Trainer, 1938). The Minerals of New York City & Its Environs, New York Mineralogical Club Bull. Vol. 3, No. 1, Manchester, J.G. (1931): 44-45. The Minerals of New York City & Its Environs, New York Mineralogical Club Bull. Vol. 3, No. 1, Manchester, J.G. (1931): 98. Rocks & Min. : 10:145; 16:360-363; 57:54. SDSMT Bull 18 Roberts and Rapp "Mineralogy of the Black Hills"; Norton, James J. (1964) Pegmatites and other Precambrian Rocks in the Southern Black Hills; Geology and mineral deposits of some pegmatites in the southern Black Hills, South Dakota. USGS Professional Paper 297E. Rocks & Min. : 60: 165. Dake, 1956: NW Gem Trails, 2nd ed.